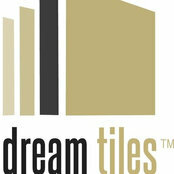 Dream Tiles was established as an independent tile retail-architectural Studio in Bicester, Oxfordshire, in 2003. Based in an idyllic village location on the outskirts of Bicester, the Dream Tiles story is one of consistent growth and expansion into new markets. We are passionate about what we do and pride ourselves on our customer service and attention to detail. That is why we are now outsourcing tile production to suit the ever-increasing demand for bespoke and designer choices with multi-award winning companies that have developed a reputation not only as the leading manufacturers, distributors and designers of tiles in the world but also as producers of unique architectural and interior design tiling solutions. A key feature of our product range - aside from the quality of the products themselves - is the “wow” factor our range inspires. 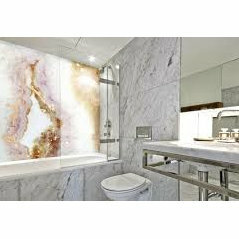 These products can be found in luxury homes and in prestigious commercial developments from corporate headquarters to top hotels, not just in the UK but overseas too. 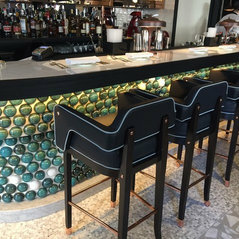 At Dream Tiles, we can make the tiles of your dreams, bespoke to suit your colour choice and design to enhance your interior design project. The process consists of a design consultation where, together, we choose your style and colours and work out the area to be covered, then we send away your design and have a scale drawing made. At that point, if all is agreed, we send it to the manufacturer to have a sample made. Once agreed that the tile is your "dream tile", we then have it waterjet cut and, within 4 to 6 weeks, it is boxed, numbered and delivered directly to your door. Call today on UK+44 (0)1869 357777 or email us for more details. Tile Repair, Tiling, supply from Manufacturer's around the World, interior design ideas, install by request.